MENS OUTIFT IDEAS: SUMMER #1 | muted. This outfit is perfect for those cooler summer days. 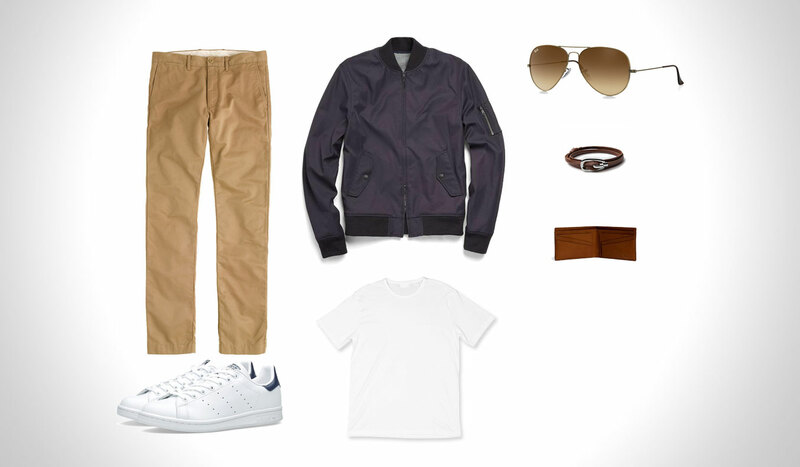 You can just wear the T-shirt or transition to the wearing the navy bomber jacket at nights. Simply perfect.